Psychological Anthropology, Play and Childhood Development, Work and Organizations, Narratives in Everyday Life, Children and Technology, Ethnographic Methods, United States. Helen B. Schwartzman is a psychological anthropologist who specializes in the study of childhood development and play and the anthropology of work and organizations. As an Americanist, she is drawn to the study of everyday activities that have been neglected by researchers and taken for granted by participants. This has led to studies examining how children construct play worlds for themselves, the role of meetings in organizations and communities, storytelling in work settings, and, most recently, moral panics about the introduction of new media (specifically the internet) to children in the United States. Her publications include Transformations: The Anthropology of Children's Play (University of Chicago Folklore Prize, Second Prize), The Meeting: Gatherings in Organizations and Communities, Ethnography in Organizations (now in its 6th printing), and Children and Anthropology: Perspectives for the 21st Century. 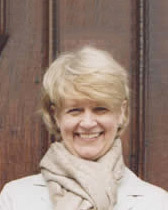 She has served as Chair of the Department of Anthropology (2000-2003). Helen Schwartzman is the recipient of grants/fellowships from the Spencer Foundation, National Research Council, Ford Foundation, National Institute for Mental Health (Institutional Training Grant), NU Center for Urban Affairs and Policy Research and the Illinois Department of Mental Health. She has served as Editor of the Special Publications-Professional Series of the American Anthropological Association, Deputy Editor for Anthropology for the Journal of Contemporary Ethnography and as a member of the Editorial Board of the journal Play and Culture. She is currently on the Editorial Board for the journal Culture and Organizations. Her most recent project is a “reflection” on the ways that anthropologists use the imagery of “the mirror” to portray the goals of the discipline as well as to theorize about specific aspects of society and culture. The Changing Shape of Play: Historical and Cultural Perspectives on Children’s Play. To appear in The Chicago Companion to the Child, R. A. Shweder, ed., Chicago: University of Chicago Press. In preparation. Materializing Children: Challenges for the Archaeology of Childhood. In Children in Action: Perspectives on the Archaeology of Childhood, 2006, J. Baxter, ed., Archaeological Papers of the American Anthropological Association, Volume 15, pp. 123-131. Research in the Context of a Moral Panic: Ethnographic Perspectives on Children in Cyberspace. Invited paper presented at the Rutgers Center for Historical Analysis, “The Gendering of Children” Seminar Series, April 12, 2005. Invited Discussant, Symposium on Play and Culture, Jean Piaget Society Annual Meeting, June 5-7, 2003, Chicago, Illinois. Children and Anthropology: Perspectives for the 21st Century, Ed., 2001. Westport, CT: Bergin and Garvey. Introduction: Questions and Challenges for a 21st Century Anthropology of Children. 2001. In Children and Anthropology: Perspectives for the 21st Century, H. B. Schwartzman, ed., Westport, CT: Bergin and Garvey, pp.1-13. Children and Anthropology: A Century of Studies. 2001. In Children and Anthropology: Perspectives for the 21st Century, H. B. Schwartzman, ed., Westport, CT: Bergin and Garvey, pp. 15-37.